Re:Action4Inclusion’s youth advisors have been busy year-round informing conversations about youth leadership, inclusion and community all across the province. In April and May, youth advisors travelled to a global student leadership summit hosted in London Ontario as well as a Peace Day rally in Paris Ontario. Youth advisors from the movement had an opportunity to influence change by joining the leadership teams at both events. 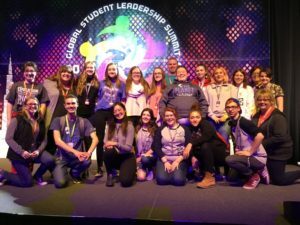 At the global leadership summit, youth advisor Nick Harris joined other youth hosts and welcomed thousands of students from around the world to a phenomenal leadership event! As a group of 20, we appreciated the diversity of speakers and messages as well as opportunities for youth to network. 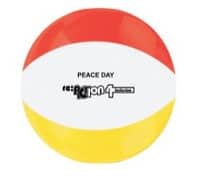 At Peace Day, in Paris Ontario, youth advisors; Nick, Cameron and Olivia worked as MC’s and rallied hundreds of students together from the stage to celebrate a commitment to peace and youth leadership. The event was hosted outdoors, at the Paris Fairgrounds. Other R4I alumni and allies participated in the event by face painting for youth delegates. The event was rich in its ability to be relevant to youth and provided a diversity of speakers and musicians as well. It was there that we first met River White, who will be joining us at Re:Action4Inclusion’s Provincial Leadership event in March 2019. Some honourable mentions, include; Avon Maitland District School Board’s Youth Leadership Summit, Provincial Youth Town Hall (held prior to elections in Toronto, Ontario), The Student’s Commission of Canada’s Knowledge Exchange “Sharing the Stories”, and R4I’s event “A Gathering of Friends” held in Kitchener Ontario in December 2018. Indeed, this year’s group of youth advisors has been bringing their voice to an array of stakeholders, decision-makers and their peers all year round. Well done! Want to read more stories like this? Go to our homepage and sign up for our email updates!